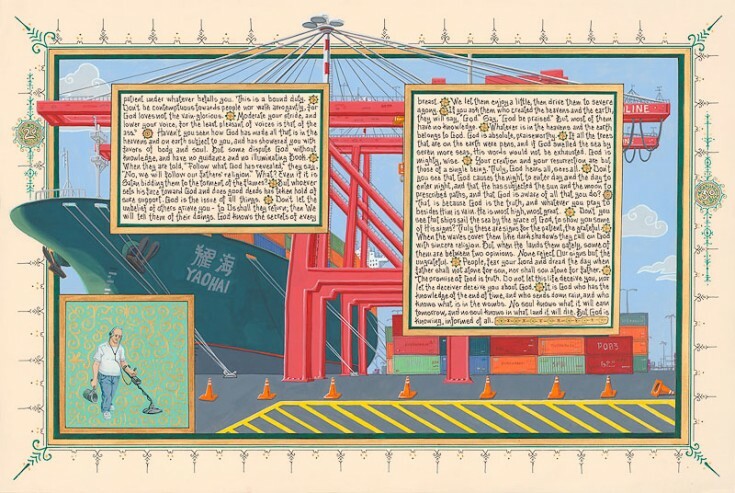 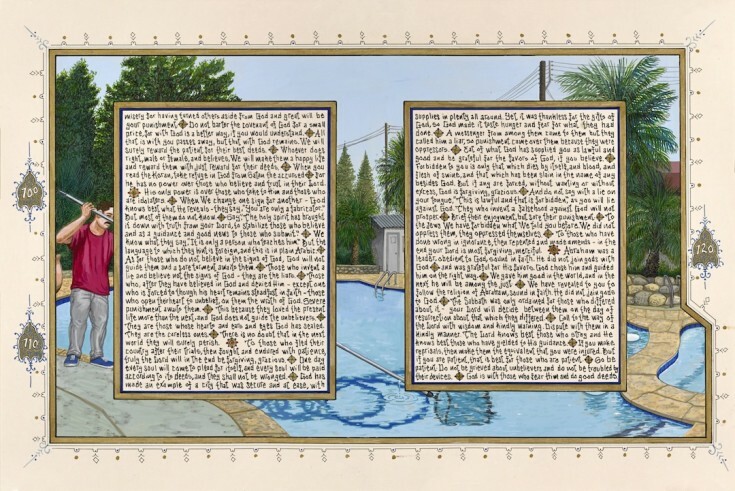 Birk’s beautifully rendered images of contemporary life fill the pages of the American Qur’an, thoughtfully bridging two cultures and reflecting the artist’s experience of travel in the Islamic world. 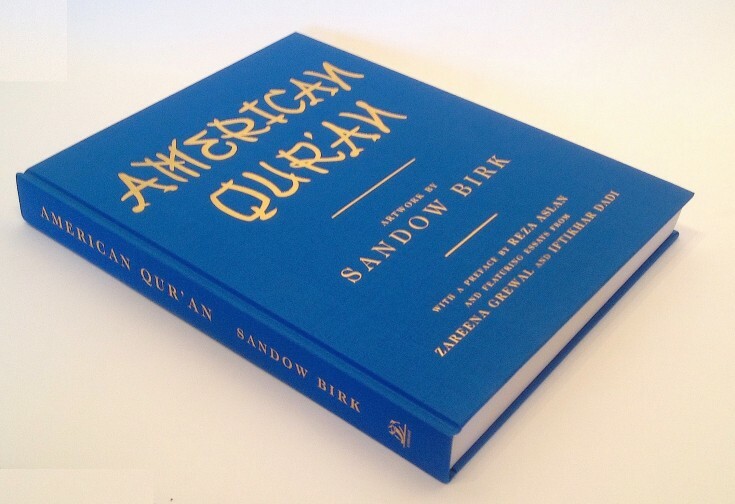 Appearing in full for the first time, this lavishly designed volume—containing all 114 suras—melds past with present and East with West, like nothing before it. 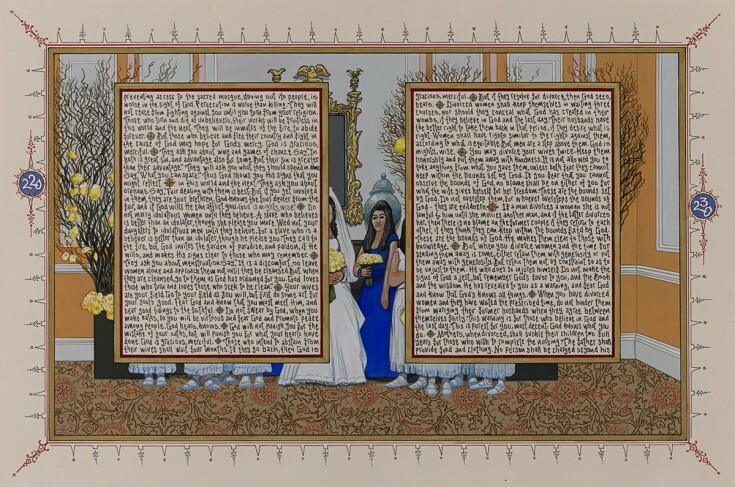 The result, hailed by Reza Aslan as "a great favor, not only to Muslims, but also to Americans," is one of the most original art books to appear in decades. 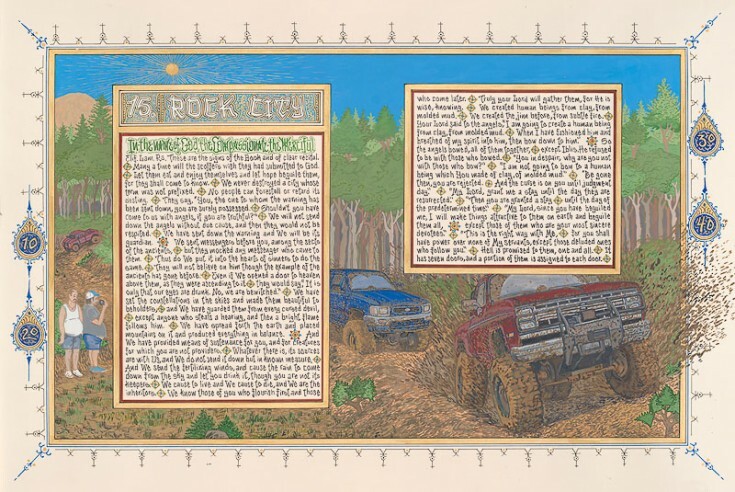 From this starting point, Birk embarked on the most ambitious work of his career. 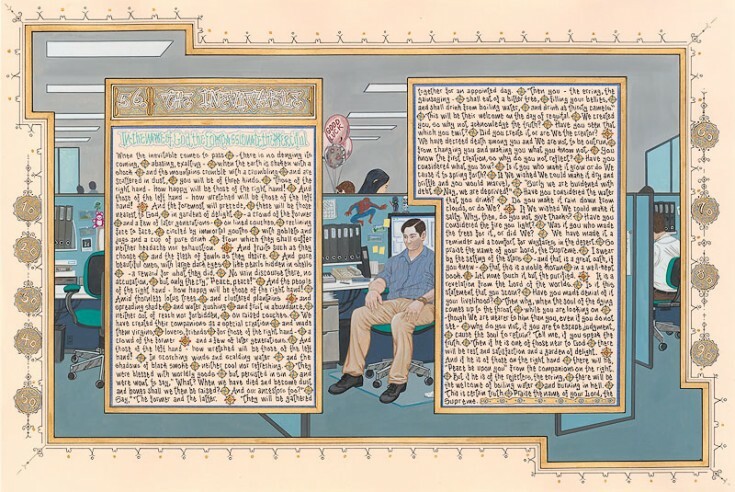 Following in the grand traditions of ancient Arabic and Islamic artists, Birk hand-transcribed the entire Qur'an as was done in centuries past—abiding by the traditional prescriptions as to ink colors, page format, margin size, and illumination of page headings and medallions marking verses and passages. 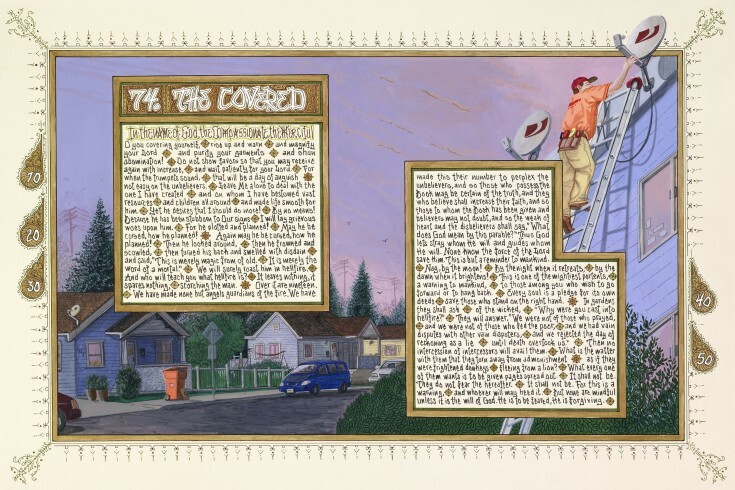 His hand-lettered calligraphy uses an American tradition of writing—that of urban graffiti street letters found around the artist’s Los Angeles neighborhood. 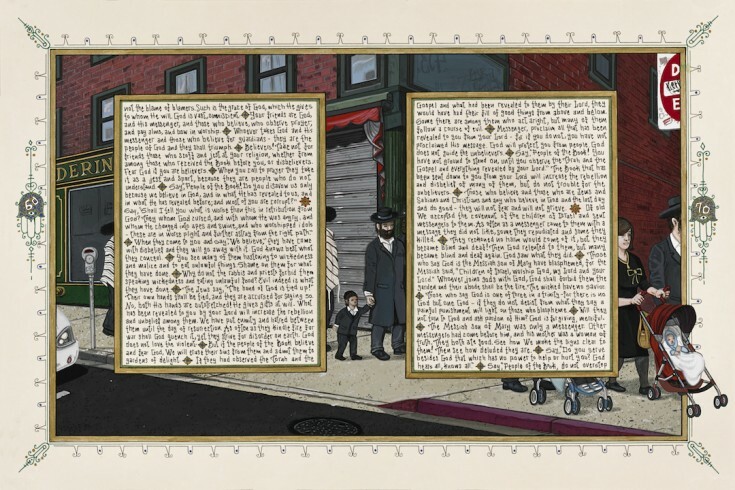 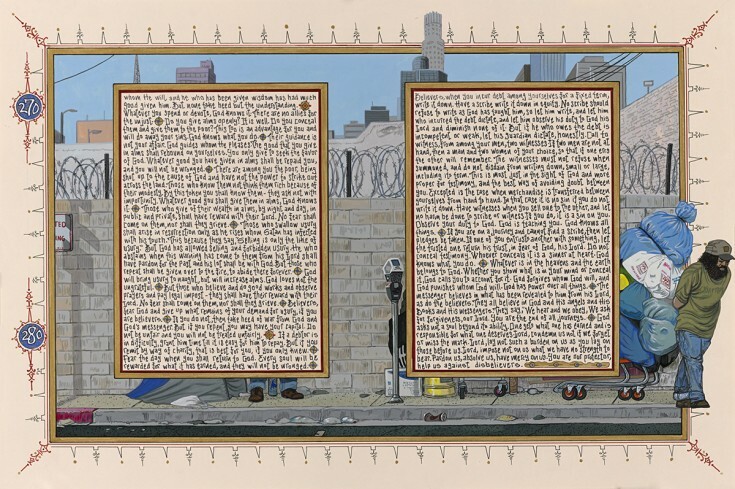 A myriad of diverse scenes from everyday American life illuminate each chapter, or sura. 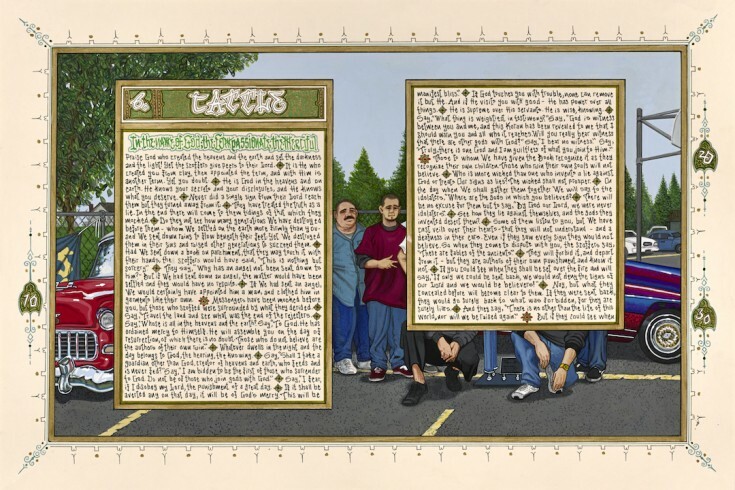 While Birk’s skate-surf aesthetic permeates the book, the settings depicted cover an impressive panoply of America culture—unbound by any particular political persuasion or agenda. 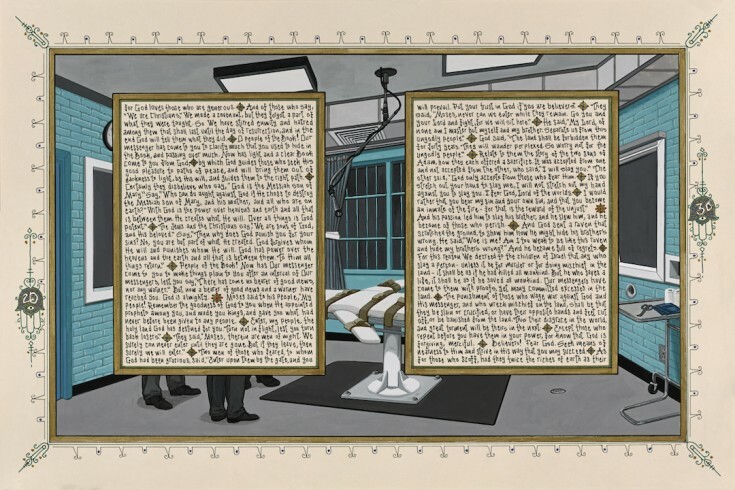 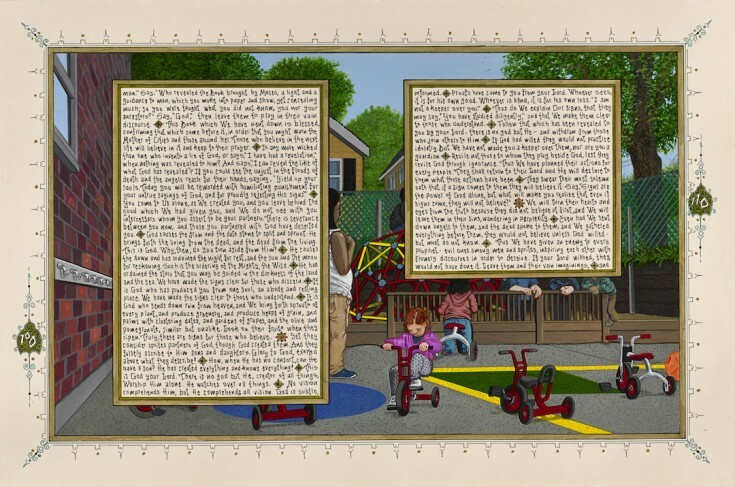 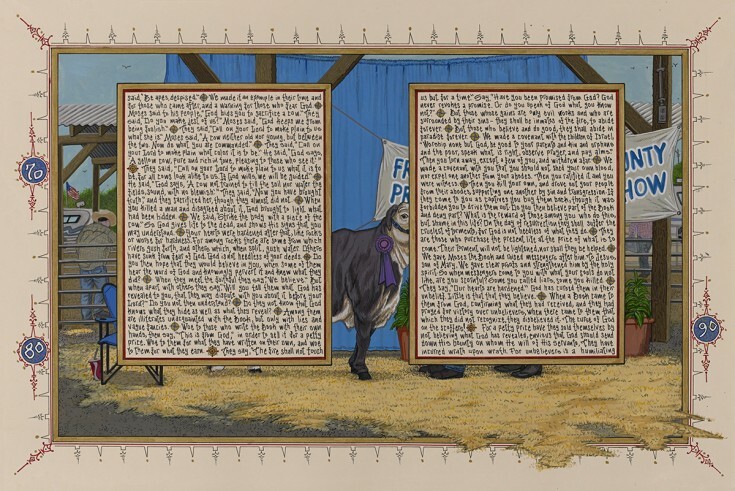 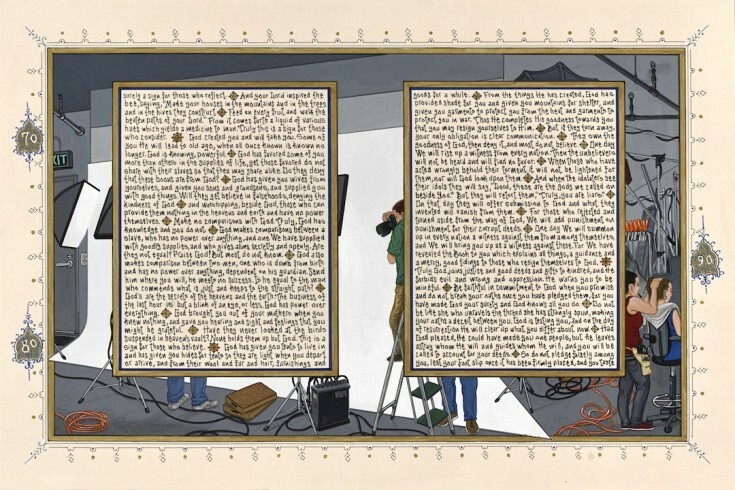 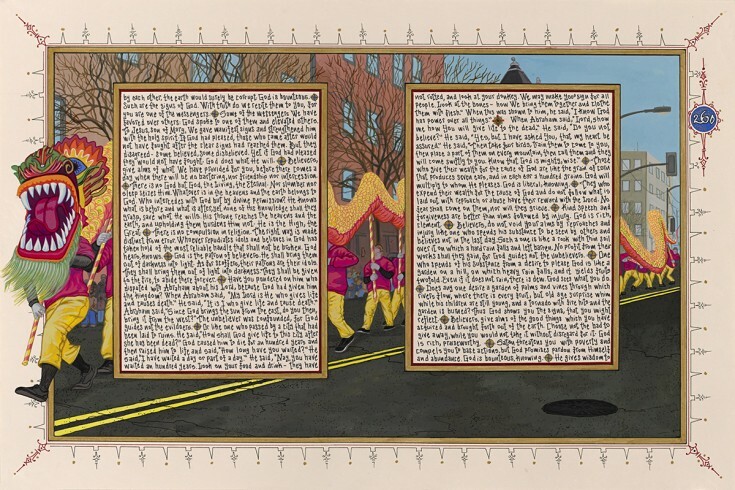 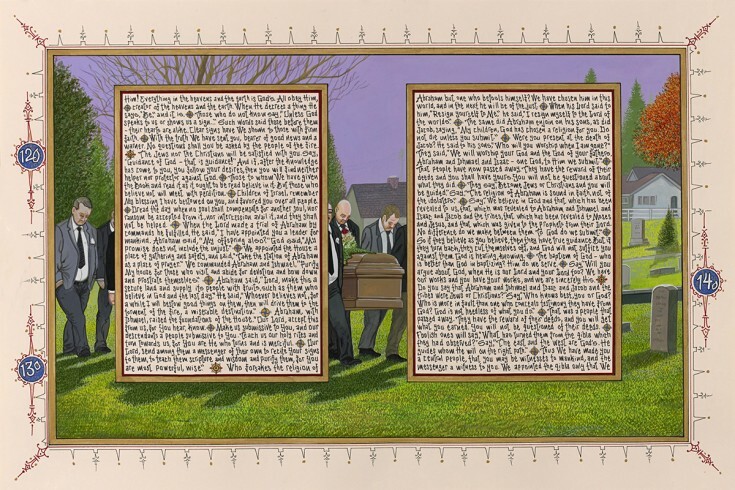 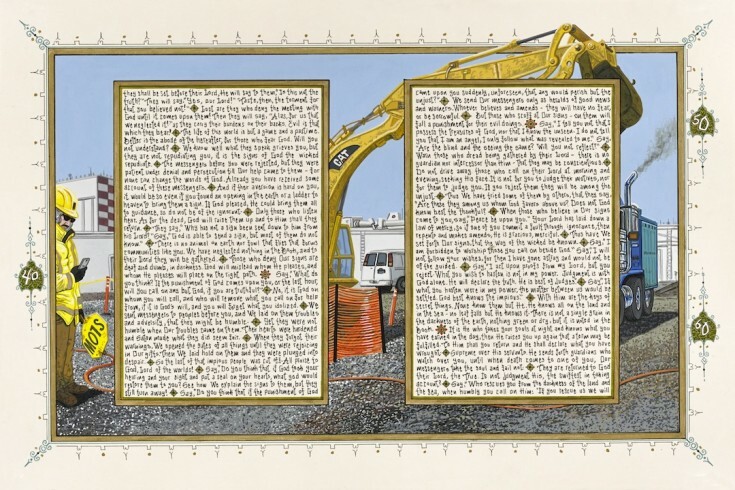 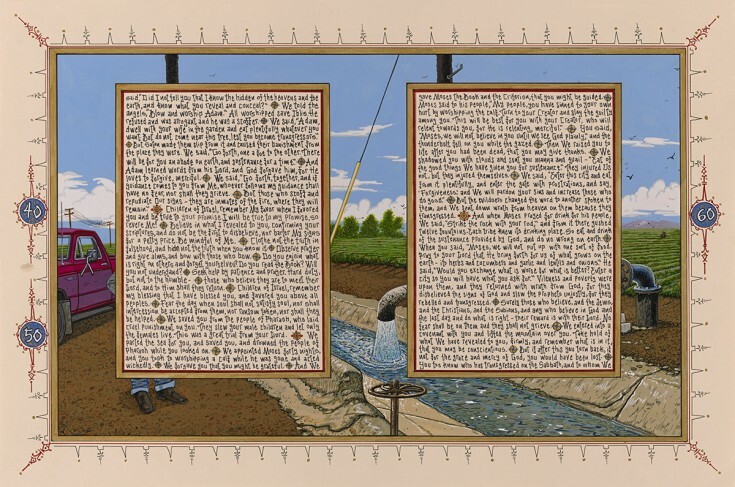 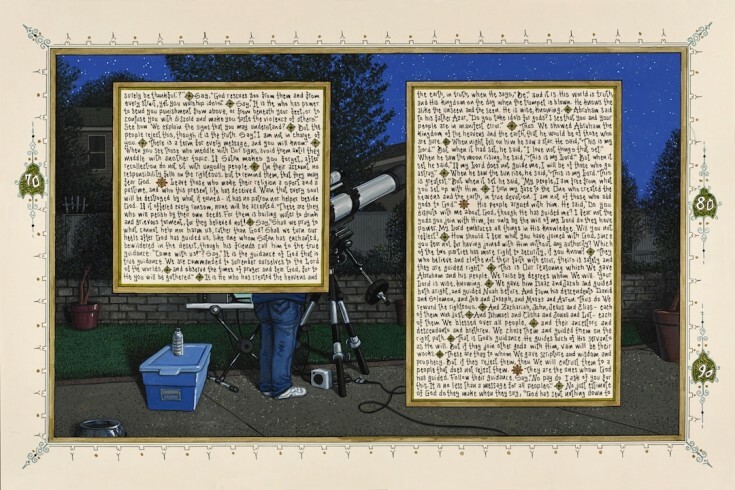 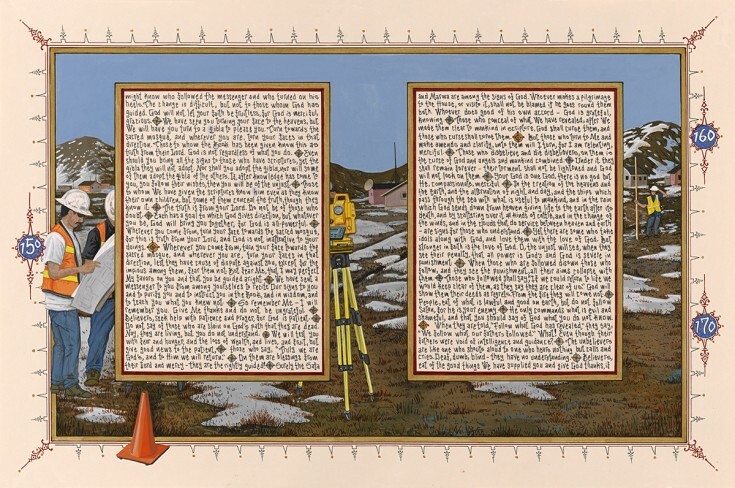 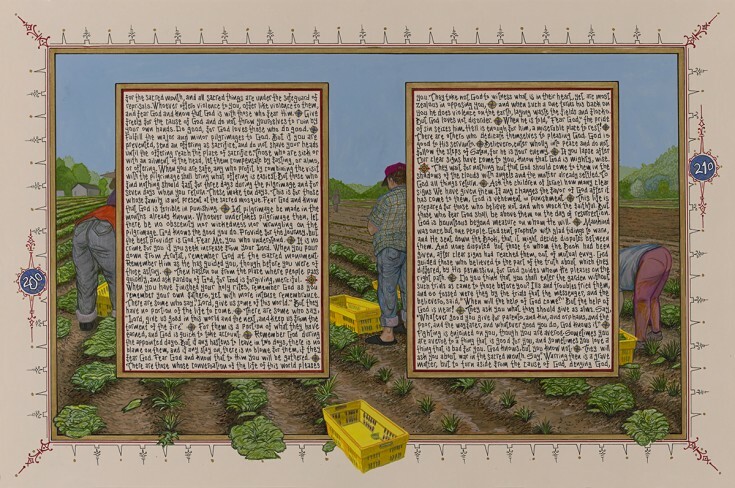 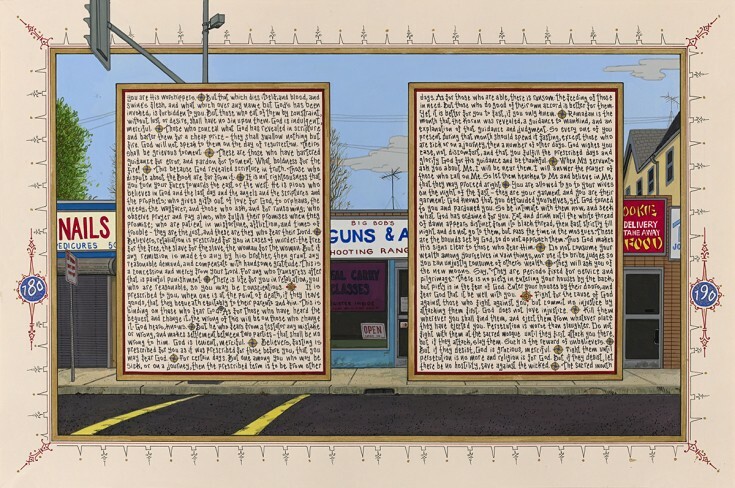 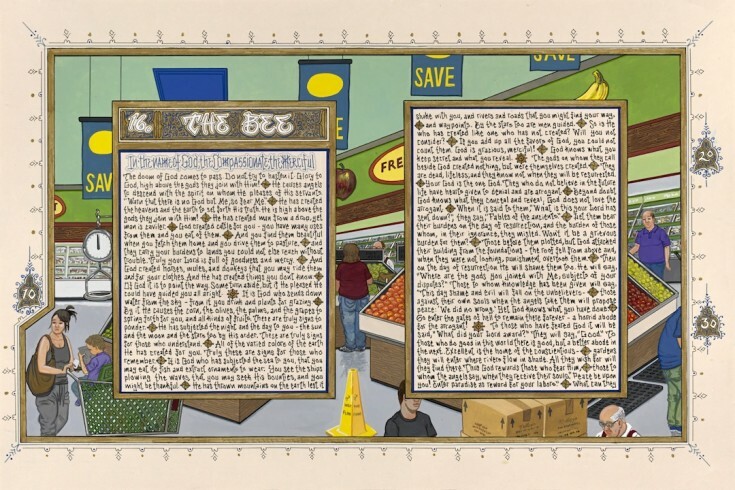 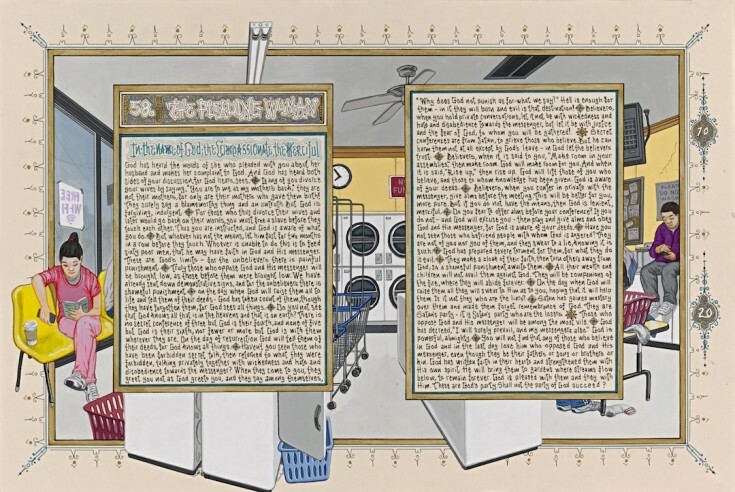 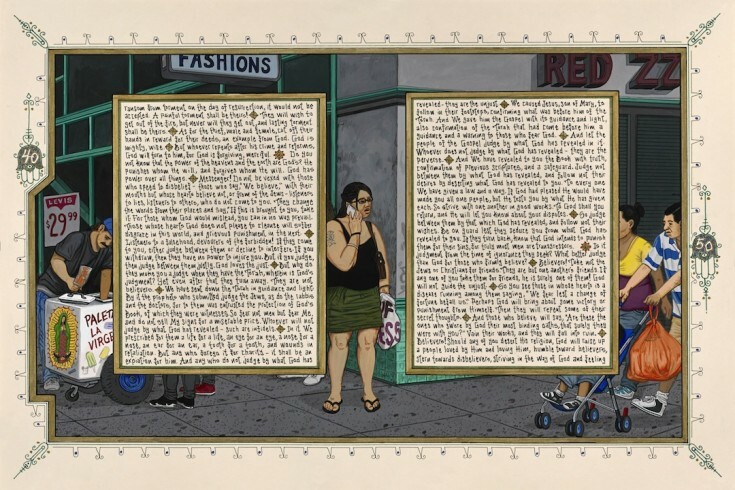 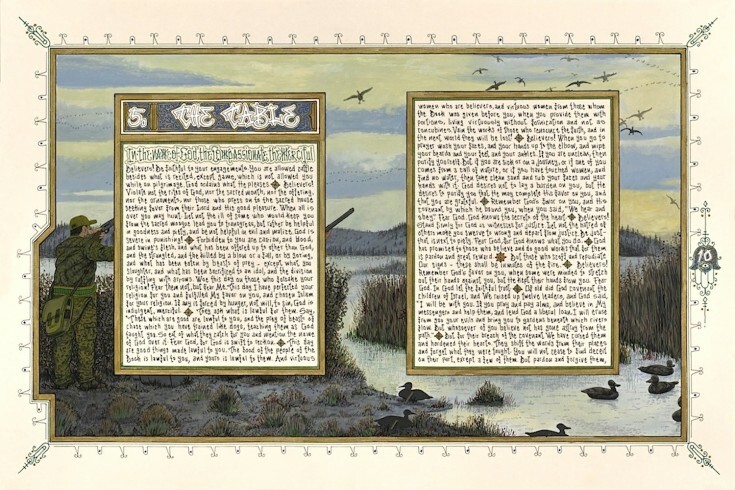 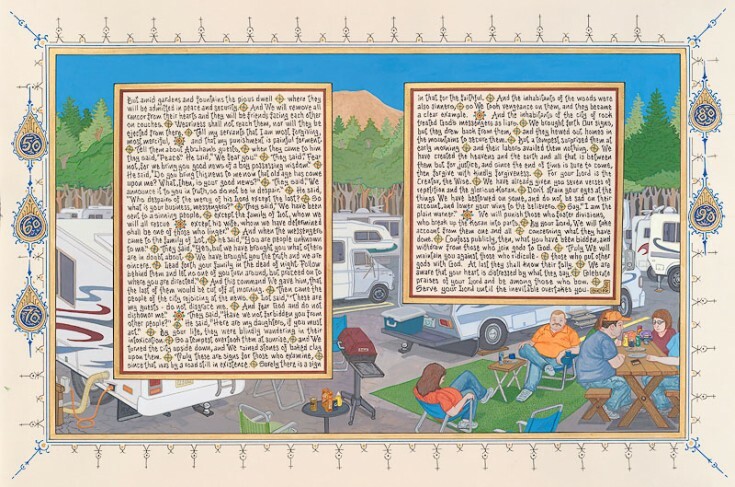 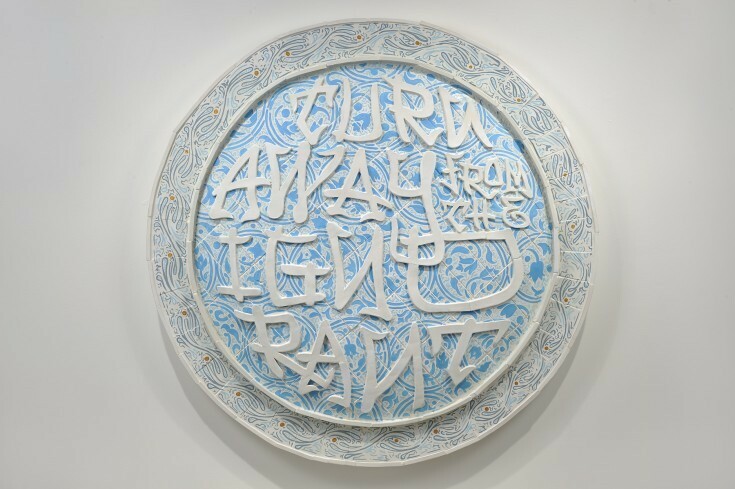 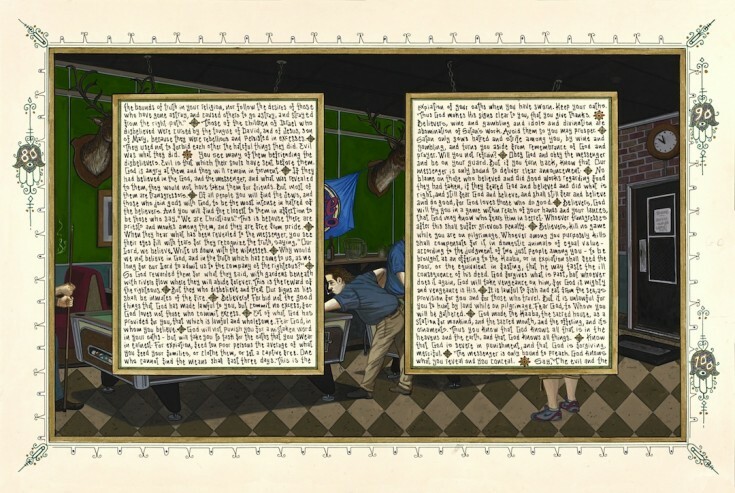 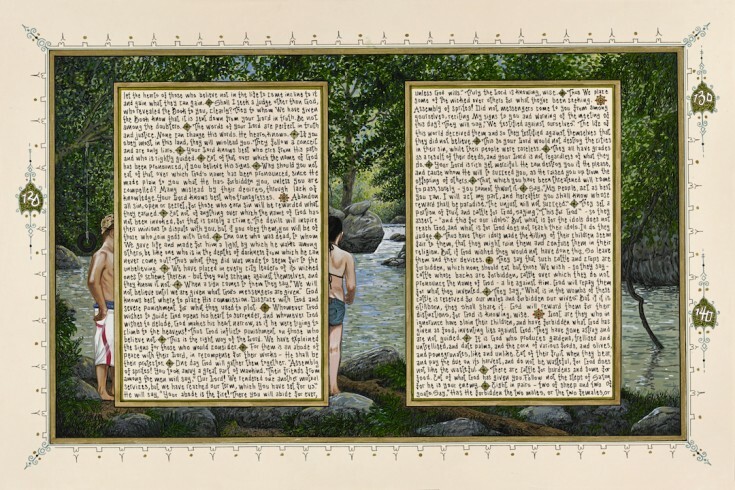 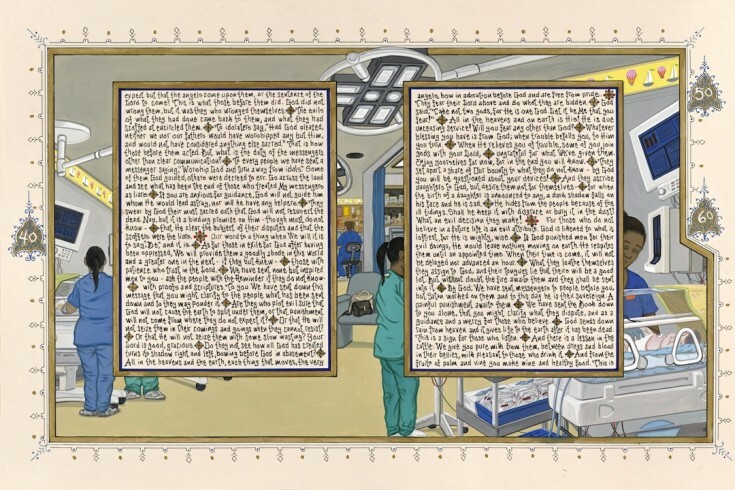 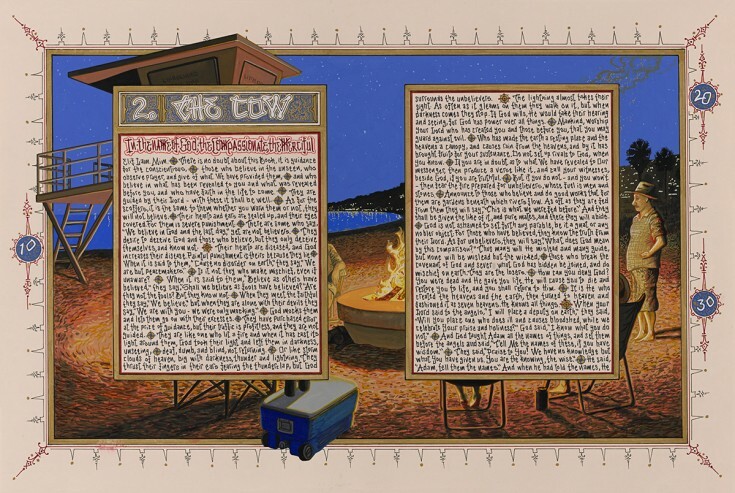 Even before the first original paintings in Birk’s American Qur'an project appeared in exhibits at Catharine Clark Gallery (San Francisco) and Koplin Del Rio (Los Angeles) in 2009, veteran art critics expressed concern about its reception. 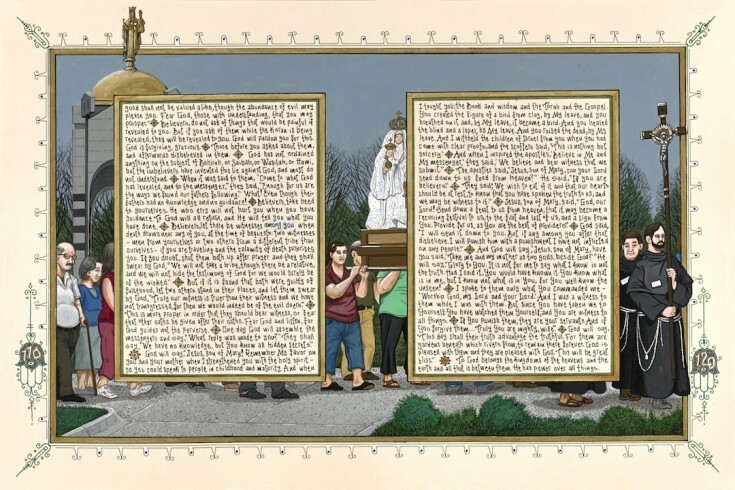 Birk’s American Qur’an challenges the notion of aniconism—the eschewal of images in Islamic texts. 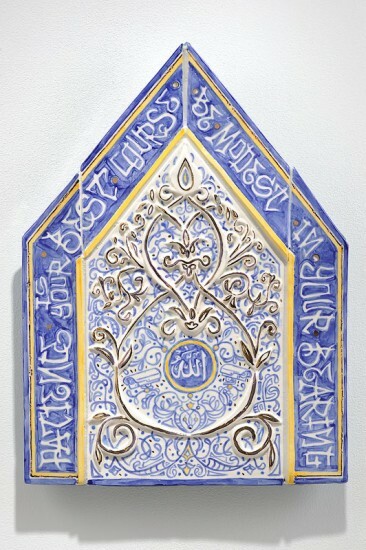 This book represents the first published version of the Qur’an to contain text accompanied by representational illuminations—versus the geometric and vegetal patterns which adorn other tomes. 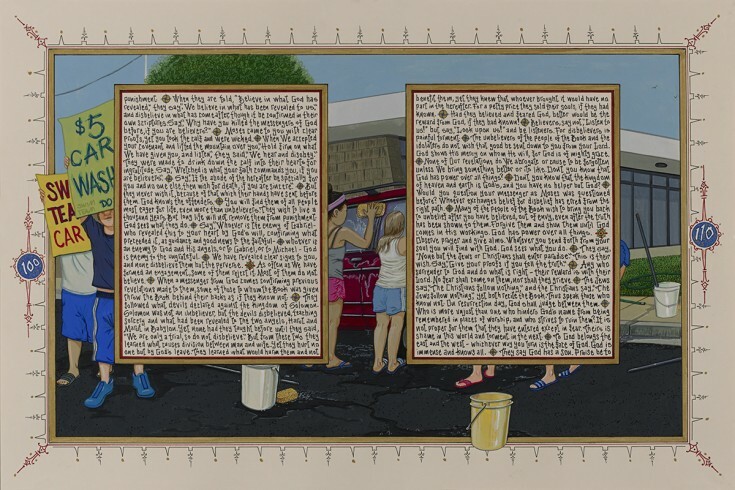 In addition, the pairing of Islam’s holiest text with scenes from contemporary American life seemed potentially provocative, given the climate of the times. 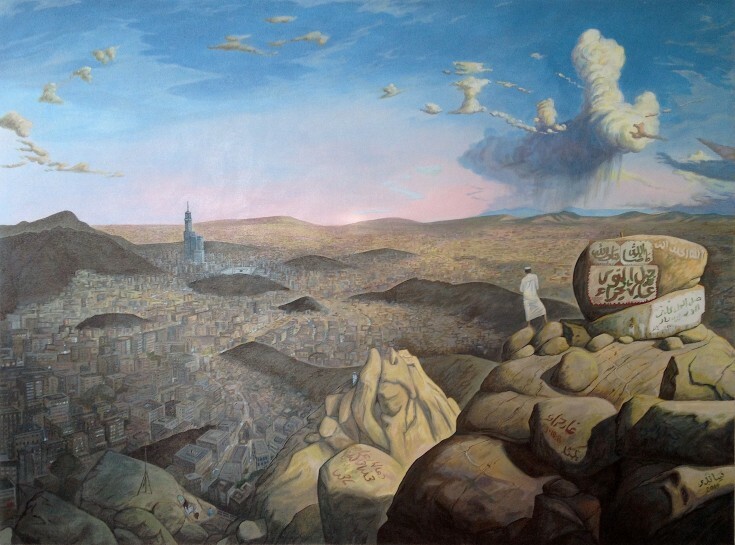 The project, however, was not only welcomed by the Muslim community but also celebrated as an "ambitious and valuable undertaking" (New York Times). 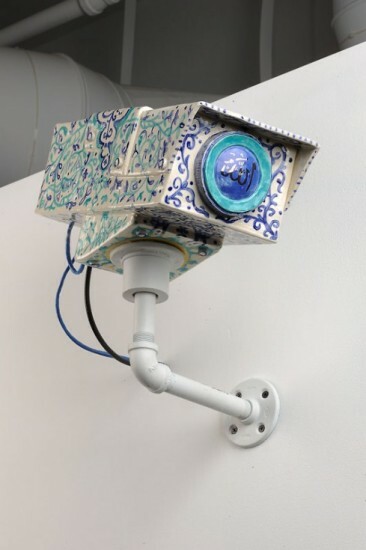 At the same time, many saw it as taking part in an ancient tradition, one that, according to Yale University professor Zareena Grewal, "eschewed the irony and satire that have become the knee-jerk impulse of so many Western artists."